Key difference: iPhone 5S is the latest smartphone by Apple. It features Apple OS 7 and is available in 3 colors: white, black and gold. 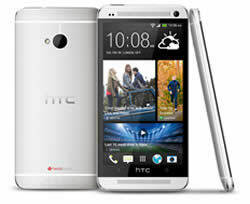 HTC One is a flagship phone of the HTC Corporation. It was launched in March 2013.
iPhone 5S is the newest phone launched by Apple Inc. The phone was launched in September 2013 after weeks of speculation. At the same time, Apple executives also announced the launch of iPhone 5C, essentially a cheaper version of the iPhone 5S. 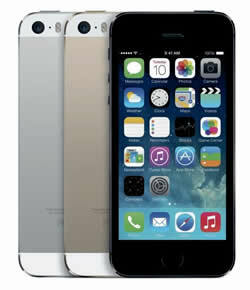 iPhone 5 has been discontinued in light of the new release; however, iPhone 4S will still be available. iPhone 5S has been launched in three variants: 16 GB, 32 GB, and 64 GB; each of which are available in three colors: silver, space grey and gold. The whole itself hasn’t changed much, the device itself retain the 4-inch retina screen and its thin and light body. However, additional features of the phone include a fingerprint identity sensor; a better and faster camera; an operating system built specifically for 64-bit; Sapphire crystal in the home button and protecting the iSight camera. The information for the detailed table about the two phones has been taken from the Apple website, the HTC website and GSMArena.com. Compliant with Bluetooth 4.0, Bluetooth 4.0 with aptX™ enabled, Wi-Fi: IEEE 802.11 a/ac/b/g/n, DLNA, micro-USB 2.0.